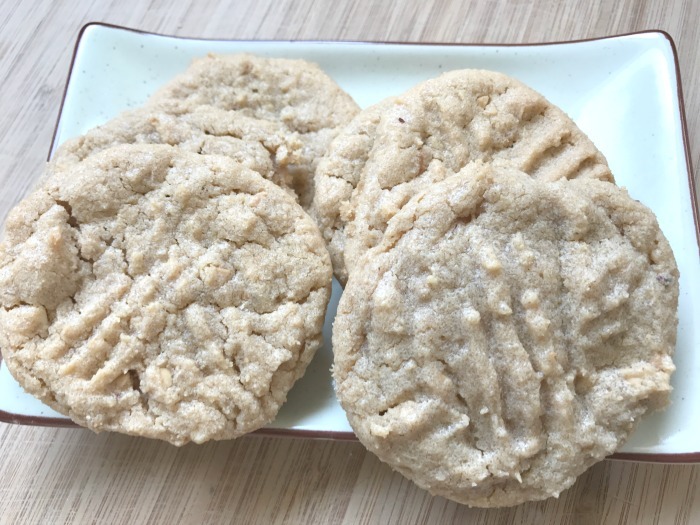 Today I have a very special cookie recipe to share with you, 3 ingredient Peanut Butter Cookies. To celebrate the upcoming release of Boss Baby on Blu-ray, DVD and Digital my kids and I planned a very “top secret” and oh so fun movie night this past weekend. 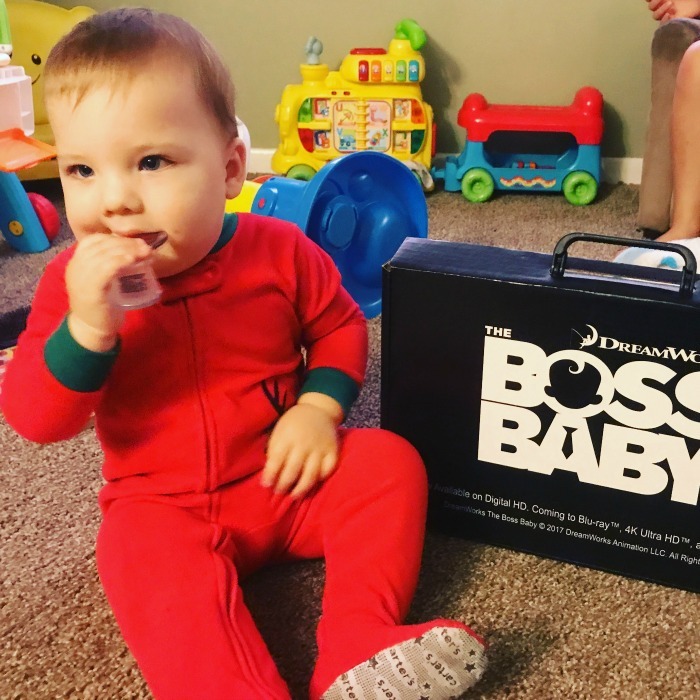 As part of the Fox Home Insiders we get to do some pretty amazing things but being able have a Boss Baby movie night was one of my daughters favorites. She’s a HUGE fan of the movie and has been patiently waiting for it to be released onto Blu-ray. Well after this next week the wait is over because Boss Baby is crawling into stores on July 25th. To kick off our movie night we whipped up a batch of one of the easiest cookie recipes you can ever make. Seriously these cookies are so good, quick, easy and perfect for closers. 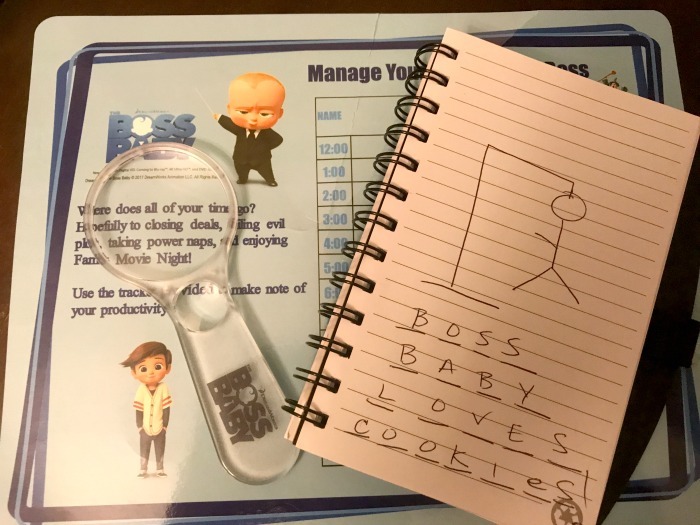 Because you know Boss baby says “cookies are for closers”. 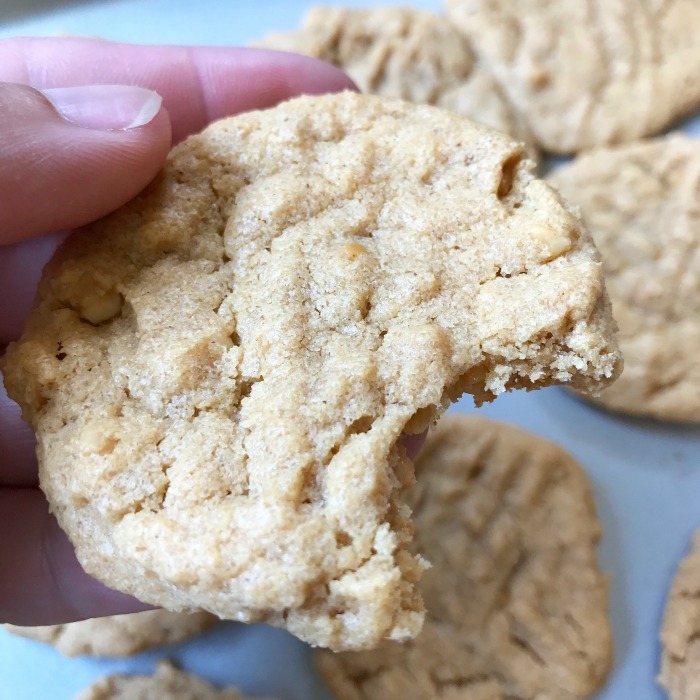 Here is what you need to make these delicious 3 ingredient peanut butter cookies. First you’re going to preheat your oven to 350 degrees F. In a medium mixing bowl pour all of your ingredients into the bottom and stir them together well. Now take a large cookie sheet and spray it lighting with cooking spray. Drop spoonfuls of the cookie dough onto the sheet making sure you give about a half inch in between each cookie. Next take a fork and gently press on the middle making an X mark. Place in the oven for 6-8 minutes and THAT’S IT! I told you these are the easiest cookies ever and perfect for any Boss Baby. While we waited for our super delicious 3 Ingredient Peanut Butter Cookies to bake, my daughter Aubrey and I played a couple of rounds of hang man on these super top secret note pads. It’s been years since I’ve played paper hangman and I have to say it’s a really fun game to play with your kids. So after our cookies were done it was time to start Boss Baby. The wait was finally over and it was all worth it. Boss Baby was a HUGE hit. The whole family loved it. There were some really funny parts that had everyone, the adults and kids, laughing like crazy. I really enjoyed it. Boss Baby hits shelves this coming Tuesday, July 25th so be sure to pick up a copy for your next movie night. And don’t forget to make a batch of these 3 Ingredient Peanut Butter Cookies to go along with it.